Below you fill find all funeral homes and cemeteries in or near South Lake Tahoe. Suburbs of South Lake Tahoe: S Lake Tahoe, Bijou, Camp Richardson, Fallen Leaf, Meyers, Stateline, Tahoe Paradise, Tahoe Valley. South Lake Tahoe is also known as: El Dorado County / South Lake Tahoe city. Their current mayor is Mayor Tom Davis. Zip codes in the city: 96150, 96151, 96152, 96154, 96155, 96156, 96157, 96158.
rs can be purchased from one of the local funeral shops we partner with. Some of the notable people born here have been: Jamie Anderson (snowboarder), Bob Ayrault (baseball player), Tim Pugh (baseball player), Garrett McIntyre (american football player), Jerod Haase (basketball coach), and Michelle Csitos (actor). South Lake Tahoe is the most populous city in El Dorado County, California, United States, in the Sierra Nevada. As its name suggests, the city is located on the southern shore of Lake Tahoe.The city's population was 21,403 at the 2010 census, down from 23,609 at the 2000 census, though has grown by as many as 3000 people in the intervening years. 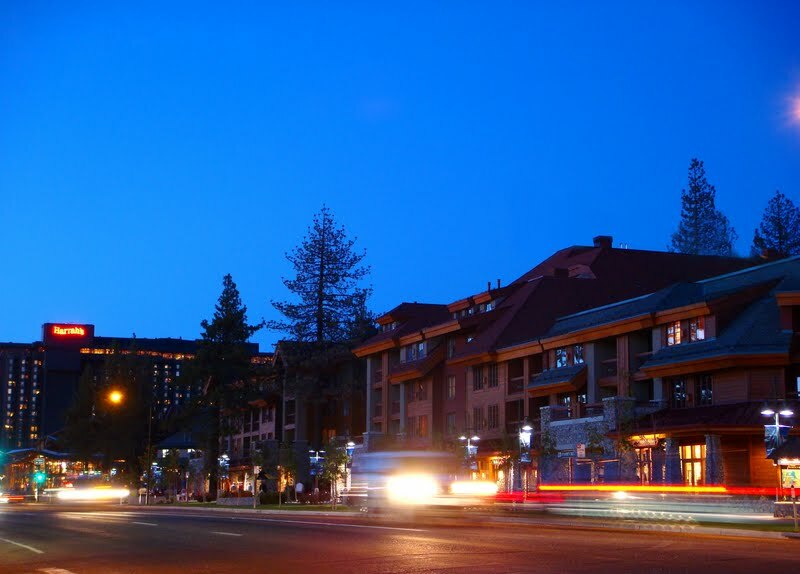 The city extends about 5 miles (8 km) west-southwest along U.S. Route 50, also known as Lake Tahoe Boulevard. The east end of the city, on the California-Nevada state line right next to the town of Stateline, Nevada, is mainly geared towards tourism, with T-shirt shops, restaurants, hotels, and Heavenly Mountain Resort with the Nevada casinos just across the state line in Stateline, Nevada. The western end of town is mainly residential, and clusters around "The Y" (new intersection October 2008), the X-shaped intersection of US 50, State Route 89, and the continuation of Lake Tahoe Boulevard after it loses its federal highway designation. It was reported on December 27th, 2017 that Dolores Robinette Woons (Johnson) perished in South Lake Tahoe, California. Ms. Woons was 89 years old and was born in Iron River, MI. Send flowers to express your sympathy and honor Dolores Robinette's life. It was revealed by Napa Valley Register on October 17th, 2016 that John C Nemes passed on in South Lake Tahoe, California. Nemes was 71 years old. Send flowers to share your condolences and honor John C's life. It was reported by Monterey Herald on July 30th, 2016 that Douglas Harmon Sprague died in South Lake Tahoe, California. Sprague was 83 years old. Send flowers to express your sympathy and honor Douglas Harmon's life. It was disclosed by Register Guard on June 22nd, 2016 that Mariah Marie Sawyer (Caya) passed away in Eugene, Oregon. Ms. Sawyer was 45 years old and was born in South Lake Tahoe, CA. Send flowers to express your sympathy and honor Mariah Marie's life. It was disclosed on March 29th, 2016 that John Cushman Weidman passed away in South Lake Tahoe, California. Weidman was 90 years old and was born in Missoula, MT. Send flowers to express your sympathy and honor John Cushman's life. It was noted by San Mateo County Times on March 25th, 2016 that Ruby Aiko Ikuta (Nakamura) passed on in South Lake Tahoe, California. Send flowers to share your condolences and honor Ruby Aiko's life. It was written on January 27th, 2016 that Keith David Drew perished in South Lake Tahoe, California. Drew was 89 years old. Send flowers to share your condolences and honor Keith David's life. It was reported by San Mateo County Times on June 4th, 2015 that Stacey Ann Medina passed on in South Lake Tahoe, California. Medina was 33 years old. Send flowers to express your sorrow and honor Stacey Ann's life. It was disclosed by Monterey Herald on May 31st, 2015 that Edward Charles "Ed" Burns passed on in South Lake Tahoe, California. Burns was 80 years old. Send flowers to express your sorrow and honor Edward Charles "Ed"'s life. It was disclosed by San Mateo County Times on February 10th, 2015 that Ann L Voisinet perished in South Lake Tahoe, California. Voisinet was 78 years old. Send flowers to share your condolences and honor Ann L's life. The east end of the city, on the California-Nevada state line, is mainly geared towards tourism, with T-shirt shops, restaurants (Mexican and sushi), hotels, and the Heavenly Ski Resort with the Nevada casinos just across the state line in Stateline, Nevada. The western end of town is mainly residential, and clusters around "The Y" (new intersection October 2008), the X-shaped intersection of US 50, California State Route 89 Route 89, and Lake Tahoe Boulevard after it loses its state highway designation. The city extends about five miles west-southwest along US Route 50 (California) Route 50, also known as Lake Tahoe Blvd. South Lake Tahoe is a city in El Dorado County, California Dorado County, California, in the Sierra Nevada Mountains. The population was 23,609 at the 2000 census. It bought Heavenly Mountain in South Lake Tahoe for $99 million in 2002. Analysts said Northstar bears a resemblance to Vail's Beaver Creek, with an upscale base-area village patronized by affluent visitors from California's Silicon Valley and other locations. Located approximately 200 miles east of San Francisco, Lake Tahoe the largest ... com ): The largest ski area in California and Nevada, located near Stateline. Sierra-at-Tahoe ( www.sierraattahoe.com ): A medium-size South Shore ski area. Vail Resorts already operates the Heavenly Mountain Resort in South Lake Tahoe on the California-Nevada line. Booth Creek Resort Properties LLC and other owners sold the stock of the companies that operate Northstar-at-Tahoe to Vail Resorts for $63 million. Find florists & Florists in South Lake Tahoe, CA. Read business reviews, find driving directions, and more. florists on YP.COM. flowers for South Lake Tahoe, CA. Find phone numbers, addresses, maps, driving directions and reviews for flowers in South Lake Tahoe, CA. We work with local florists and flower shops to offer same day delivery. You will find budget sympathy flowers in South Lake Tahoe here. Our funeral flowers are cheap in price but not in value.